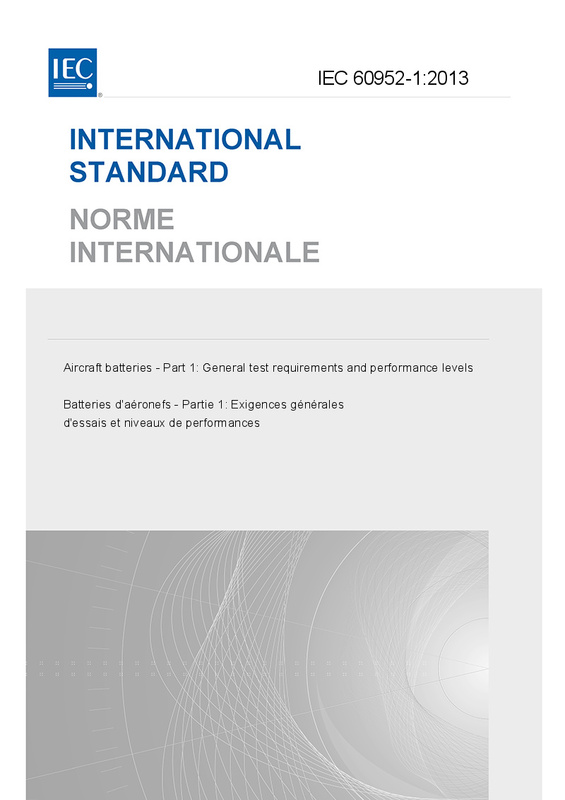 IEC 60952-1:2013 defines test procedures for the evaluation, comparison and qualification of batteries and states minimum performance and environmental levels for airworthiness. Where specific tests are defined with no pass/fail requirement (to establish performance capability), the manufacturer's declared values, from qualification testing, will be used to establish minimum requirements for ongoing maintenance of approval for that design of battery. This third edition cancels and replaces the second edition published in 2004. This edition constitutes a technical revision. This edition includes additional test requirements to meet the needs of the regulatory airworthiness authorities for both product performance and qualification.